Travis Heermann has spent most of the last 20 years making all his dreams come true (even though if you ask him, he has a few things yet to cross off his bucket list). He’s lived in Japan, traveled extensively throughout Asia, and currently resides in the shadow of an active volcano. He’s been steadily publishing short fiction and novels since 2006, and as a freelance writer he’s written a boat load of Role Playing guides for the Firefly roleplaying game, Legend of the Five Rings, and D&D 3rd edition. Heermann’s short fiction has appeared in Alembical, Historical Lovecraft, the Fiction River anthology series, and Cemetery Dance’s Shivers VII. His novels include the Ronin trilogy (Heart of the Ronin, Sword of the Ronin, and Spirit of the Ronin), The Wild Boys, and Rogues of the Black Fury. His new novel, Death Wind will be available later this year. 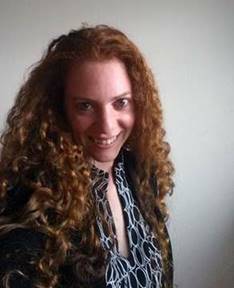 Heermann’s writing tends to focus on historical fiction, mythology, and the blending of the mundane and the supernatural. In this issue of Apex, we are thrilled to present Heermann’s epistolary ghost story “Screaming Without a Mouth.” The first thing you’ll notice about this story is that it is told via a series of text messages and other methods of electronic communications. Like any text on your phone, these messages come with a time-stamp, which leads to a fascinating and compelling two-pronged side effect. The first prong is that of timing — you know immediately if it’s a flurry of text messages going back and forth, if it’s a fast conversation; or if someone is waiting hours for a response. We’ve all waited hours for a text message response, and spent those hours trying to determine if the person is just busy at work or in a meeting or outside of phone reception, or if they are pissed off at us and are punishing us with their silence. As a corollary comes the second prong — that of negative space. Because we only see the communications, not the internal thought processes, it’s within those negative spaces between the communications that the character’s internal thought processes occur. The reader has to fill in those blanks themselves. It’s now up to you to decide if the person who waited 2 hours to text back was angry, or simply away from their phone. The next thing you’ll notice is what Heermann describes as “sticky.” No spoilers, but something happens, and someone gets their revenge. There is revenge, and there is revenge. Is Kasumi’s revenge sticky? Is it out of control? Why are people she has never interacted with being punished? Should true revenge be controlled? Influenced by Japanese folklore, the revenge that occurs in “Screaming Without a Mouth” is very different than a lot of revenge stories told in the west. With all these elements, this has got to be one of the most interesting and terrifying ghost stories I’ve ever read. Heermann was kind enough to answer my questions about the story and how it came together in such a unique way, his Ronin trilogy, how he got involved with writing Role Playing guides, and more. Apex Magazine: You used an epistolary method to tell this story. But instead of using standard written letters, you used the contemporary version of letters: e-mail and text messages. Being told this way, the story feels eerily silent, but on the other hand, seeing the time stamps on the text messages gives an incredibly effective “beat” to the conversations. Why did you choose to tell this particular story in that particular way? Travis Heermann: One of the themes I wanted to explore with this story is the loss of voice, both in the literal and metaphorical sense, loss of ability to communicate — how our voices are stolen from us, as well as the ways we willingly relinquish our voices without even knowing. Much has been said about how technology in the modern world is stunting our ability to communicate with each other face to face. Is this true? I can’t say for sure, but an entire generation of people spends a tremendous amount of their lives looking at small screens, typing in abbreviated or pictorial language without seeing the person on the other end. Another concept at play was the Japanese idea — perhaps it’s common to Korean and Chinese folklore as well — that evil is sticky. Those who come in contact with it, however innocently or randomly, cannot fail to be affected by it. They can’t just flee the “haunted house” and be safe. Something follows them. If you look at films like Ringu and Ju-on (The Ring and The Grudge in their Western incarnations), this sense of random, tenacious malevolence runs deep and it’s what makes those stories so disturbing. So how would a yurei, or ‘dim spirit,’ ‘hungry ghost,’ propagate itself in an electronic world, among characters for whom electronic was the primary means of communication? This was the thought process for the shape the story took, and it was really fun to experiment this way. There is, I hope, as much meaning in the story’s empty spaces as in the text itself. A kind of Zen thing. AM: Yukiko even writes a few letters to Kasumi. Why send letters to someone who is dead? Yukiko is far from alone in her intent to speak to someone she doesn’t expect to ever respond. Why do so many of us (myself included) feel the need to talk to people who can’t hear us? TH: Good question. Maybe because deep in our wiring there’s some tangible imprint that those we love make on our psyches. When they’re gone, it’s as if part of them still exists within us. As I type this, I keep thinking it sounds like every bit of trite but well-meaning comfort offered to the bereaved. But I’m talking about a real psychological construct within ourselves, some part of our own consciousness that creates an amalgam within us of those to whom we are closest. Even though someone is gone from the objective world, they might be very real in our subjective one. That makes it feel entirely normal to talk to someone who’s gone, as if writing a letter to an absent friend. AM: Talk to me about hungry ghosts and why they do what they do. Will Kasumi ever find peace? TH: Not if she stays true to the folklore. Hungry ghosts are the remnants of people who die in a state of extreme emotion, such as rage or despair or loneliness. In Japanese folklore, most yurei are women, as it was generally believed that women are more prone to extreme emotion, often having died or committed suicide after being wronged by a man or losing a child. Extreme emotion was not socially acceptable in ancient Japan any more than it is now. There is an aversion to it, so people keep things bottled up. In this story, as in my Ronin trilogy, evil is sticky, and it spreads by the evil actions it creates in others, on down an endless chain. Evil begets more evil. Kasumi’s yurei represents more than one poor, tortured girl; she becomes incarnate evil in motion. AM: This story has a number of pieces, and I’m curious to know more about how they all came together. We have the epistolary presentation of the story, the gut punch of what really happened to Kasumi, her revenge, and the culture in which the story takes place. Which piece came in your mind first when you started writing this story? How did all the pieces come together? TH: It was going to be a ghost story from the get-go. The first element conceived was what happens to the ghost’s victims (no spoilers here!). From there it was the idea of two Japanese girls, close friends, and something awful happens to one of them to open the door for a yurei. During some journaling and brainstorming, but before I started writing the story, the idea for the experimental form came to me. I wanted to try something I had never seen before. It all really came together when I realized what the central metaphor was and recognized how it resonated throughout the story. Anyone who’s paying attention knows that men still hold more cards than women in the societal power structure, and this is even truer in a country as traditional as Japan, where gender roles were all but codified, where women are still expected to be submissive and subservient to men. Women’s rights have a long way to go in the West, but Japan is significantly behind the West in that regard. How often is it a man — through cruelty or abuse, asserting dominance, or simple ignorance or apathy – who takes away a young woman’s voice in any of a multitude of ways? How often are women forced to keep silent by their fathers, then their boyfriends, then their husbands? This was certainly a major force in Yukiko’s and Kasumi’s lives, and resonates (I hope) with the story’s events. AM: The first novel in your historical fantasy Ronin series came out in 2009. What is the series about, and what kind of research did you do for this series? TH: The story is set in 13th Century Japan, and blends real historical events with the creatures of folklore and other supernatural elements. It tells the story of a young masterless samurai, a ronin, who saves a noble maiden from a pack of bandits led by a nefarious demon. They fall in love in the most ill-fated fashion; his is a low birth, hers a noble one. Unbeknownst to either of them, she is betrothed to a powerful lord. So the star-crossed lovers are torn apart until their paths cross once again, but by that time, their lives are vastly changed. The late 13th Century was a pivotal time in Japanese history, as it was the target of two invasion attempts by Khubilai Khan’s Mongol hordes. 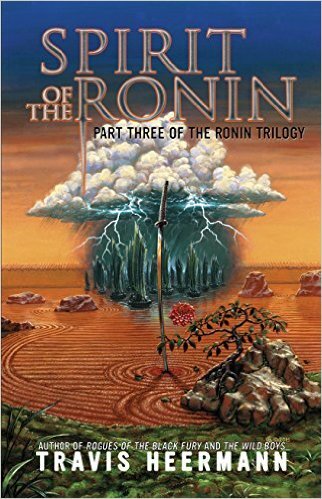 I started writing what became the Ronin trilogy in about 1999. A slew of samurai films inspired me to take that path, and the research began with trips to the library and internet research, progressed to learning the language, and culminated in moving to Japan and living in the same area as the story takes place. I taught English there for three years, whilst having a fabulous time and doing loads of first-hand research at historical sites, shrines, and studying Japanese texts. Writing that story has changed my life in almost every conceivable way, and I finished the last volume, Spirit of the Ronin, last year. It felt like closing a chapter of my life. Nevertheless, like any good book, it leaves one anticipating what happens next. AM: You’ve written a huge number of roleplaying guides for Alderac, White Wolf, and the Firefly RPG. How did you get involved with writing these? What unexpected doors opened for you due to your involvement with RPGs and publishers of RPG guides? TH: For years I wanted to break into writing roleplaying game stuff. I was hugely into games of all sorts, including tabletop RPGs. In the late 90s, I volunteered in Alderac’s booth at several GenCons, got to know their people, and they gave me my first ever freelance writing gig, a short RPG module for D&D 3rd Edition and its Open Source d20 rules. From there I wrote several more of those mini-adventures as well as collaborating on various sourcebooks in that realm. Eventually I moved into the Legend of the Five Rings universe, which was a dream come true for me, as it was another facet of my fascination with Japanese mythology, history, and culture. From there, I had some published credits, happened to share a cab ride with someone from White Wolf at Gen Con, struck up a conversation, and ended up working on EVE Online. Two years ago, I attended GenCon again, met the wonderful folks at Margaret Weis Publications, and snagged the opportunity to work on The Smuggler’s Guide to the Rim for the Firefly Roleplaying Game. That was another dream come true, because I’ve been a huge Firefly fan for years. So basically it began with knowing the right people at the right time, being given a chance, and then following through. That very first freelance gig was the first of a succession of doors, each opening other doors with each successful job. I wrote something like half a million words of RPG-related text, all of which was great practice not only in writing skills but in working with ambitious deadlines. The most successful writers are good at getting doors to open just a crack, or noticing when doors are open, and going through them with a spirit of “I can do this.” Each door is both an opportunity and an accomplishment, and beyond each door are simply more doors. AM: You had a number of short stories appear in anthologies in 2015, and 2016 is shaping up to be a very good year for your published short fiction as well. How in the world do you get so much written so quickly? Of your recently and soon to be published short stories, which is your favorite? Which was the most challenging to write? TH: I subscribe to the idea that spending too long on one piece of short fiction is detrimental to the story. Agonizing over every sentence, endless critiquing, endless revising, you can write the heart right out of it. Once you’ve achieved professional writing proficiency — you’ve written your million words of crap so you can get to the good stuff, to paraphrase Ray Bradbury — you should be able to sit down and produce a draft fairly quickly. You have to get it out. Pour it out of your subconscious in its purest form, without letting thinking and writing skills get in your way. Bogging yourself down in making everything perfect stunts the story. There are a lot of writers faster than me, the kind who can sneeze and 4,000 words hit the page, so I have greater productivity levels to shoot for. But with sustained effort, I can typically produce a rough draft in 3-4 days, faster if need be. When I’m in a short story writing mode, I’ll write a story one week and edit/revise the one I wrote last week. When I’m in a novel, I shoot for a daily word count of 1,500-2,000 words. Of the short stories I have sold thus far to come out this year, “Screaming Without a Mouth” feels like it has the most meat on its bones, the one where theme, content, and form come together. It was also the most difficult because of its experimental form and its use of empty spaces, so to speak. Back to the Zen thing, a bowl is only useful for the empty space it contains. That being said, I’m also proud of a short thriller called “Redline” that I wrote for Kevin J. Anderson’s anthology Pulse Pounders: Adrenaline, to be published by the Fiction River anthology series later this year. Kristine Kathryn Rusch told me it was a wonderful piece of writing, another gut-punch story, one that would really stick with her, and when a long-time industry professional and award-winning editor says something like that about one’s story, one just glows for a while. AM: What’s next for you? What exciting projects are you currently working on? TH: This year could be a big one for me. My next novel release will be Death Wind, a Lovecraftian horror-western, co-written with Jim Pinto and published by WordFire Press, scheduled to blow your house down in July, 2016. For upcoming writing projects, I’m set to begin work on some media tie-in stories and a novel for a well-known game property that encompasses both tabletop and video game branches. I’m not at liberty to divulge what property at this point, but those stories and serialized release of the novel are set to begin within the next few months. This will take the bulk of my time until later in the year. This is my first media tie-in fiction work, and I’ve been a fan of the game for 25 years, so I’m excited about it. After that, I have a number of directions I could go, depending on how things shake out.